Home / bollywood / Masaba Gupta Engagement - When you know theres no turning back from here ! 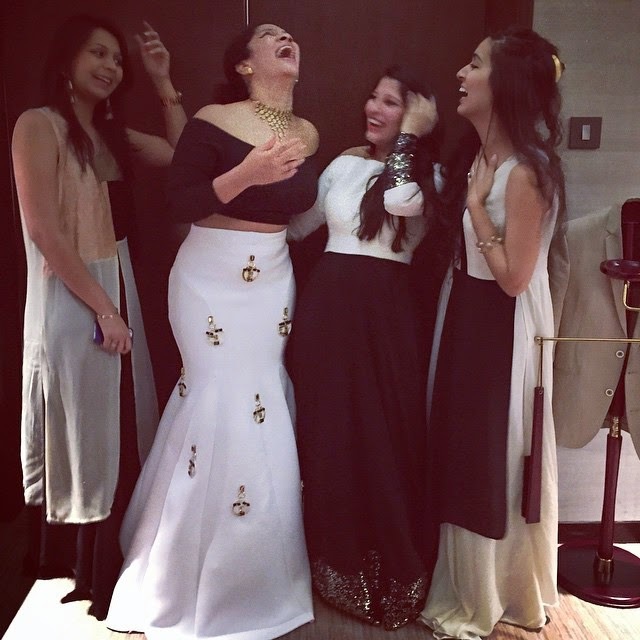 Masaba Gupta Engagement - When you know theres no turning back from here ! 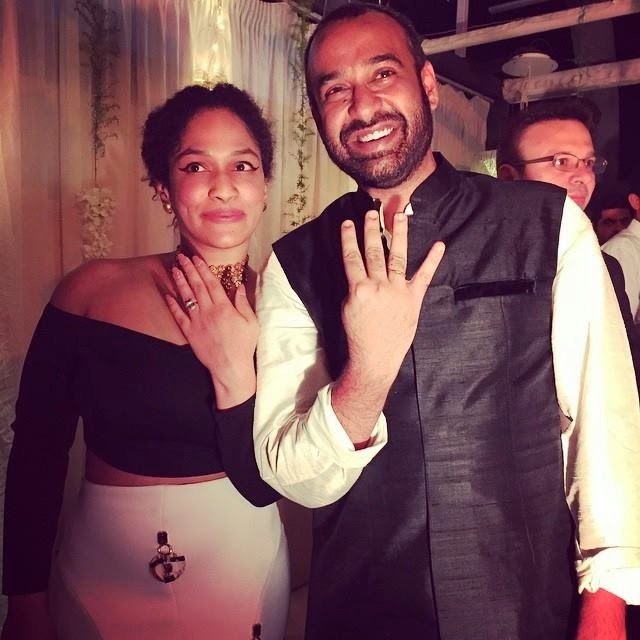 Madhu Mantena and Masaba Gupta's engagement seems to be the buzz of Bollywood. Rumoured couple Sidharth Malhotra and Alia Bhatt also attend the do. 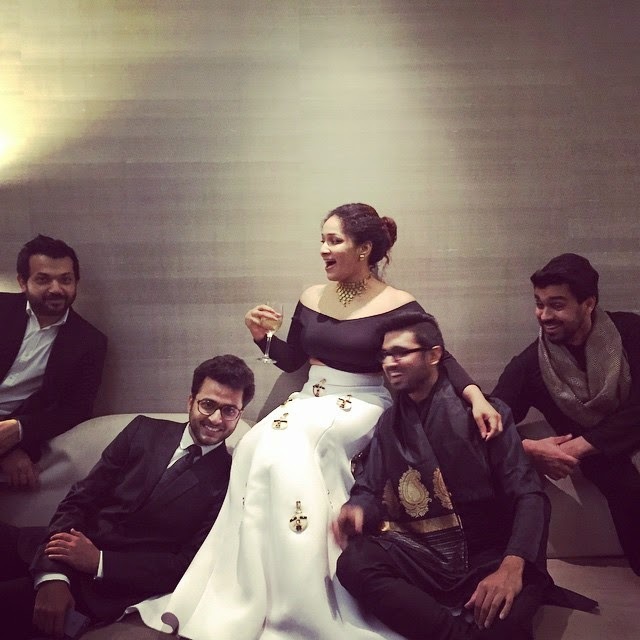 Masaba looked gorgeous wearing the ‪Shivan And Narresh‬ ‪Neoprene‬ Lehenga for her engagement. Again, as we predicted here , Masaba also opted for an Indo-Western fusion look of a beautiful skirt paired with crop top. She very cutely expressed her excitement, "Officially in Bahurani mode now.chalo lets go get engaged"
Alia Bhatt wearing all black and enjoying with friends shared her emotions, "And our spice girl is engageddddddddd !!! So happy for you @masabagupta it's going to be one very emotional wedding"
It was quite a simple ceremony. Everyone was ready to break into the party mode, however, what was truly heartening for all their friends were the speeches by Viv Richards and Neena Gupta. While Viv was not there physically, he and his wife Miriam gave a very touching speech through an AV. His wife recalled the first time she met Masaba. Masaba hugged her and she immediately knew from that day that they would be friends. Neena was extremely emotional too. She said to her husband Vivek Mehra, "Now that Masaba would not be there, he should take retirement as she would be all alone". She had tears talking about Masaba getting married and said it had happened all too soon. She not only had a lump in her throat talking about her daughter, but Masaba had tears and had to hide her tears.